When Breitling’s new owners, the private equity outfit CVC Capital Partners, recruited Georges Kern from Richemont in July last year, it was surprise all round. The man who led IWC on a decade’s worth of lucrative growth had left the post of watchmaking division chief at Richemont to lead the faltering maker of aviation watches. In the job barely half a year, Mr Kern and his financier bosses (who used to own Formula 1) have recruited an all-star team from across the industry, lured by equity stakes in Breitling, with Mr Kern himself reputed to have 5%. 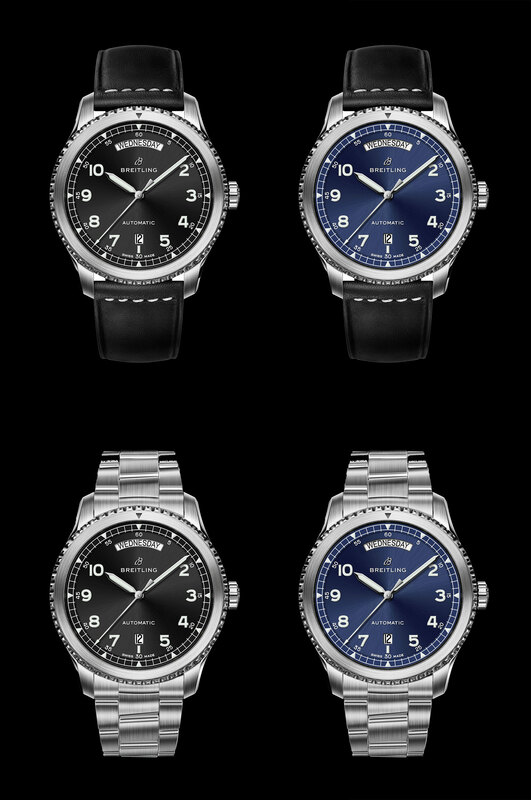 The team includes the former chief marketing officer of Audemars Piguet, Tim Sayler, to Louis Westphalen, who was previously running the watch store on American blog Hodinkee. Mr Kern and his team rapidly revamped Breitling top to bottom, even redesigning the company logo to eliminate the wings from the italic “B”. 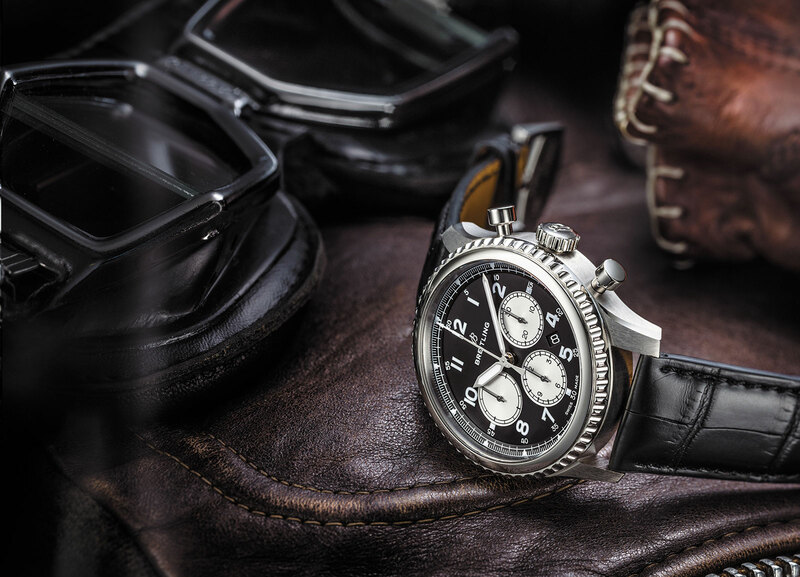 The first fresh product line under Mr Kern’s aegis is the Navitimer 8, a vintage-inspired range of watches conceived to evoke Breitling’s glory days as a supplier of aviation instruments. The name comes from Breitling’s Huit Aviation department – “8” is huit in French – set up in 1938 to make cockpit clocks and other dashboard instruments for aircraft. 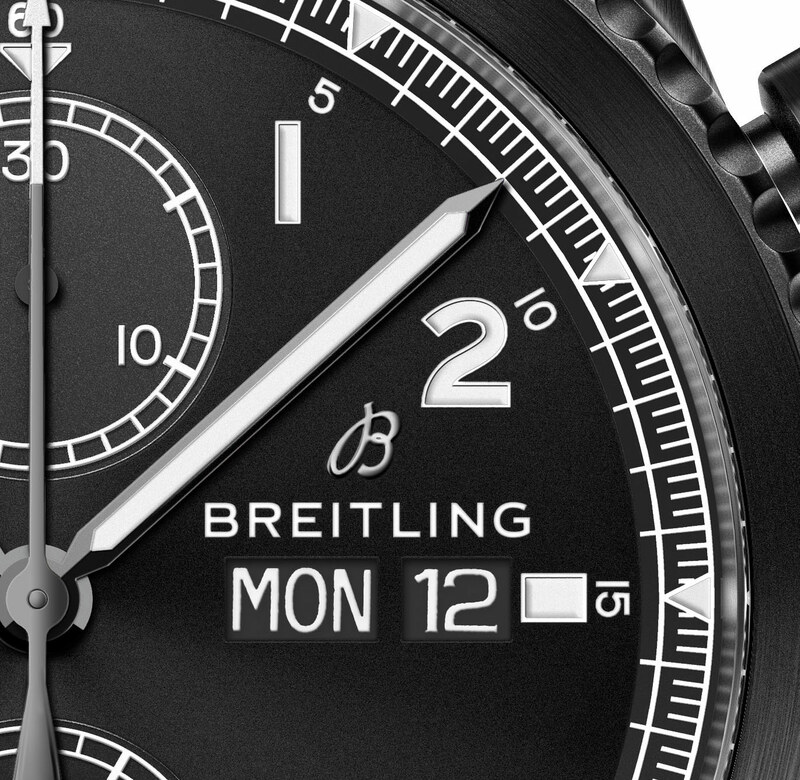 Named after the eight-day power reserve common in such clocks, the department’s name has been revived for what is to be Breitling’s flagship line. And “8” is also considered an auspicious number in Chinese culture, being phonetically similar to prosperity, a fortuitous coincidence given Mr Kern’s stated goal of drastically growing Breitling’s presence in China. Though it gets its name from Breitling’s most famous wristwatch, the slide-rule equipped Navitimer, the Navitimer 8 is not an out-and-out remake. Rather the Navitimer 8 is similar to Tudor’s Heritage watches like the Black Bay, being an amalgamation of design elements from various vintage watches that comes together for a vaguely retro feel. 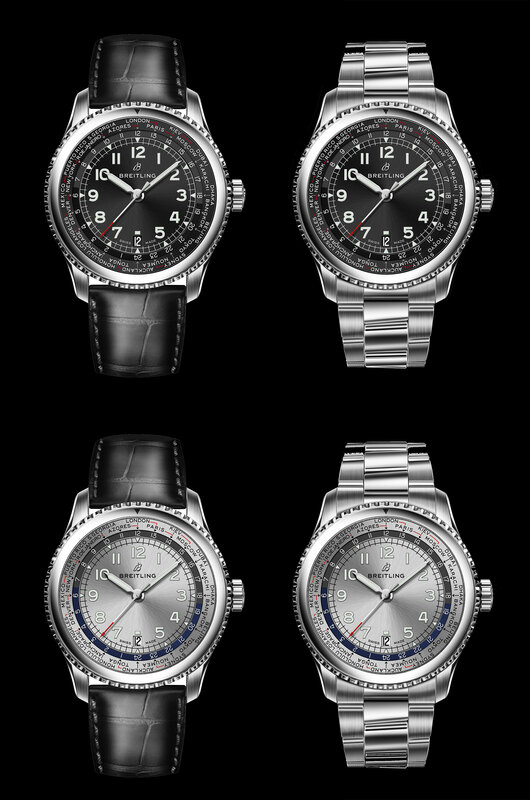 So the Navitimer 8 relies on the case of the original Navitimer with its bevelled lugs, a notched bezel and sword-shaped hands. And the dial has various elements found in several vintage Breitling pilot’s watches, including the railway minute track, Arabic numerals and sword-shaped hands. Note that all prices are in Swiss francs an subject to change. 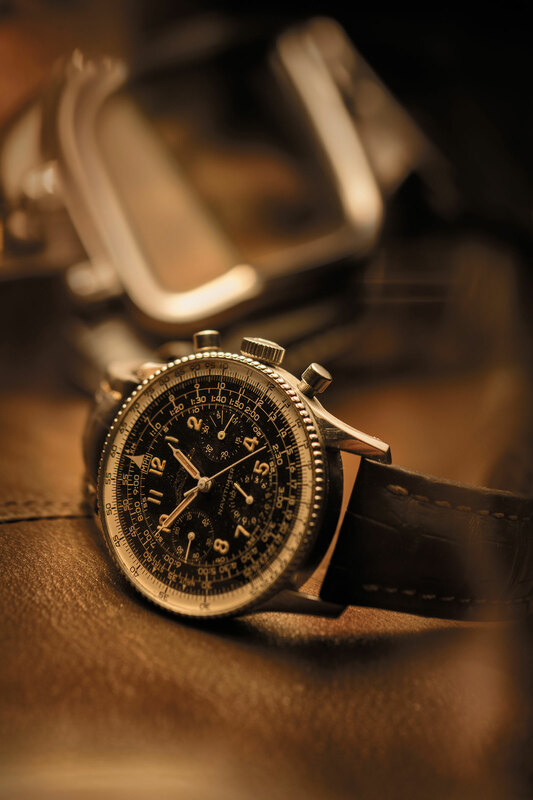 The top of the line model is the Navitimer 8 B01. Powered by the in-house Calibre 01 chronograph movement that boasts both a column wheel and vertical clutch (and the same movement Breitling supplies to Tudor for its Black Bay Chrono), the Navitimer 8 B01 is 43mm in diameter, and available in steel or 18k red gold. The Navitimer 8 B01 in stainless steel costs SFr7100 on strap and SFr7800 on steel bracelet while the 18k red gold version costs SFr19,500. They are slated for delivery in June. 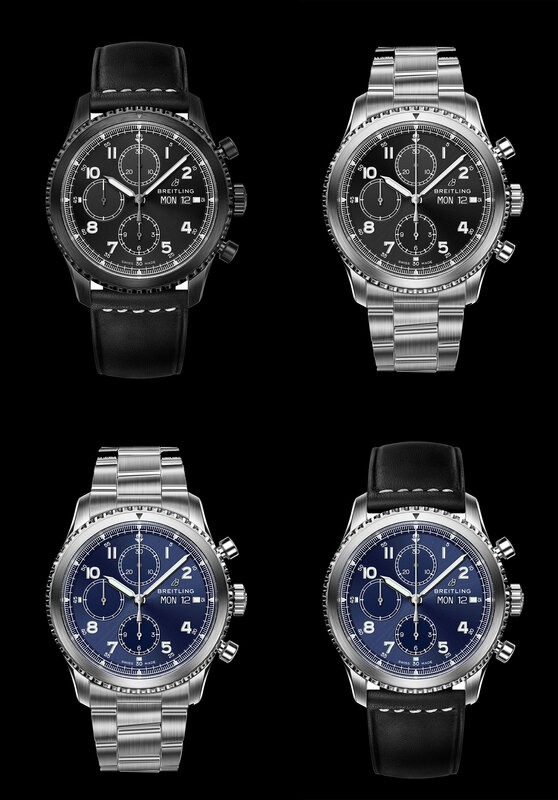 More affordable is the Navitimer 8 Chronograph, which has the same styling but a Valjoux 7750 movement inside. 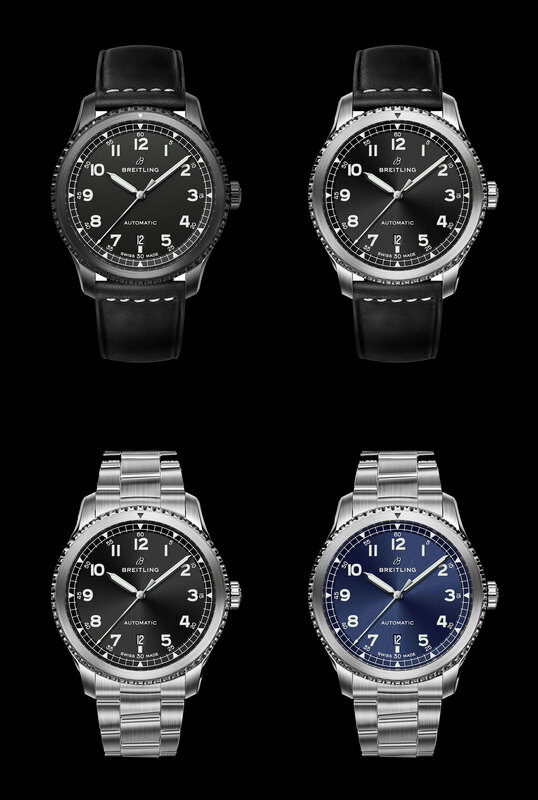 Also 43mm, it’s available in steel, or steel with a black coating. 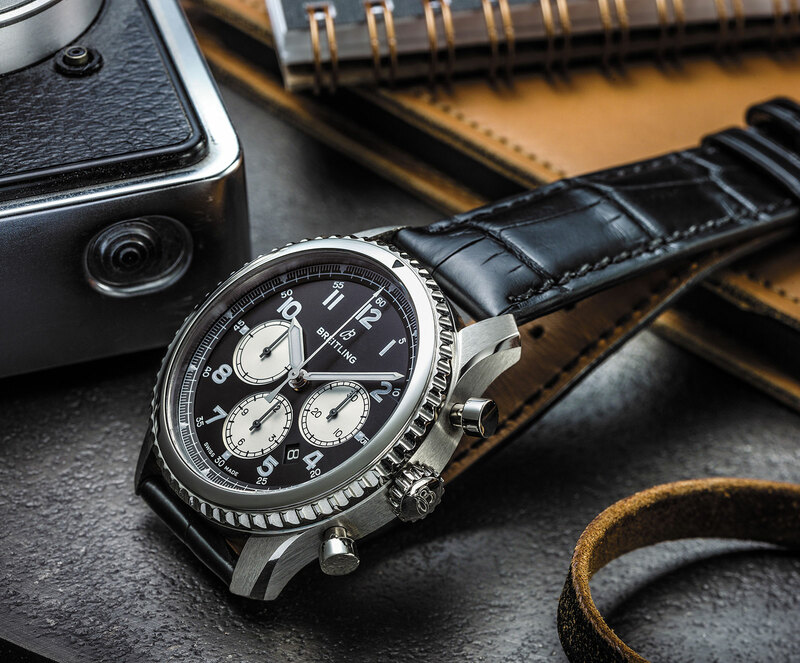 The Navitimer 8 Chronograph in stainless steel costs SFr5100 on strap and SFr5800 on steel bracelet while the DLC-coated version costs SFr6300. They will be available starting June. The Navitimer 8 Unitime is a world time set via the crown, which moves the cities disc, hour hand, as well as 24-hour disc in one hour steps, both forwards and backwards. The case is steel and 43mm in diameter. 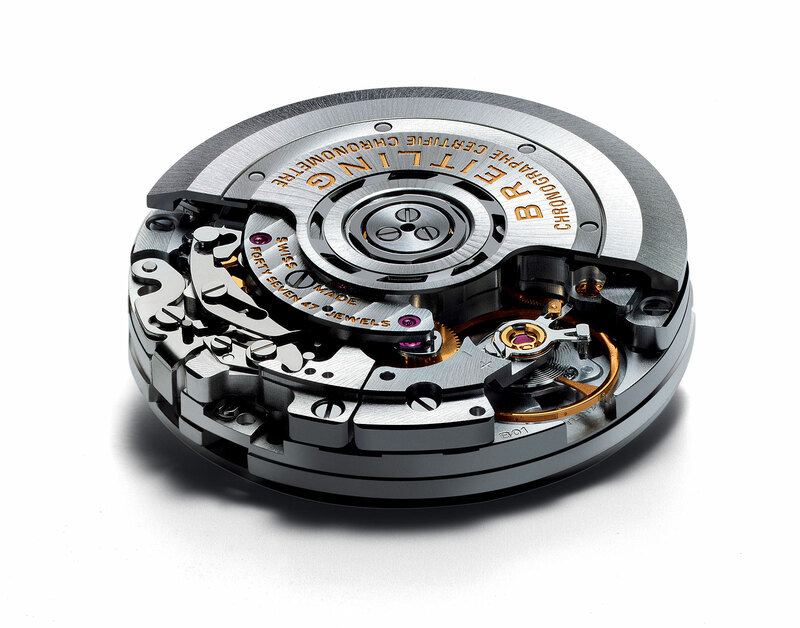 It’s powered by the Calibre B35, an in-house automatic with 70 hours power reserve, and the world time module on top. The Navitimer 8 Unitime costs SFr7950 on strap and SFr8650 on steel bracelet, with deliveries starting October. 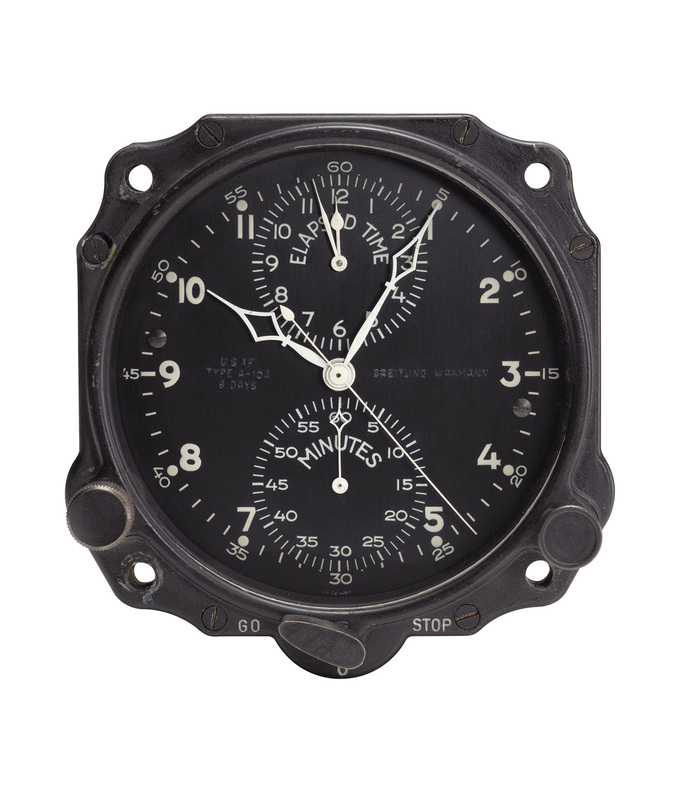 Smaller and more basic is the Navitimer 8 Day-Date. This is 41mm, steel and powered by the Breitling Calibre 45, an ETA 2824 with a day and date display. 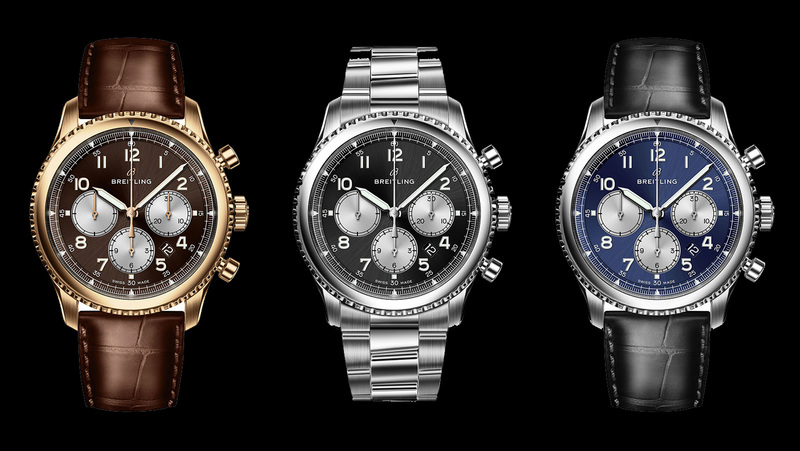 The Navitimer 8 Day Date costs SFr3800 on strap and SFr4350 on steel bracelet, also available starting October. Also 41mm is the entry-level model of the range, the Navitimer 8 Automatic. It’s equipped with the Breitling Calibre 17, which is actually the ETA 2824. The steel case is available brushed or with a black coating. 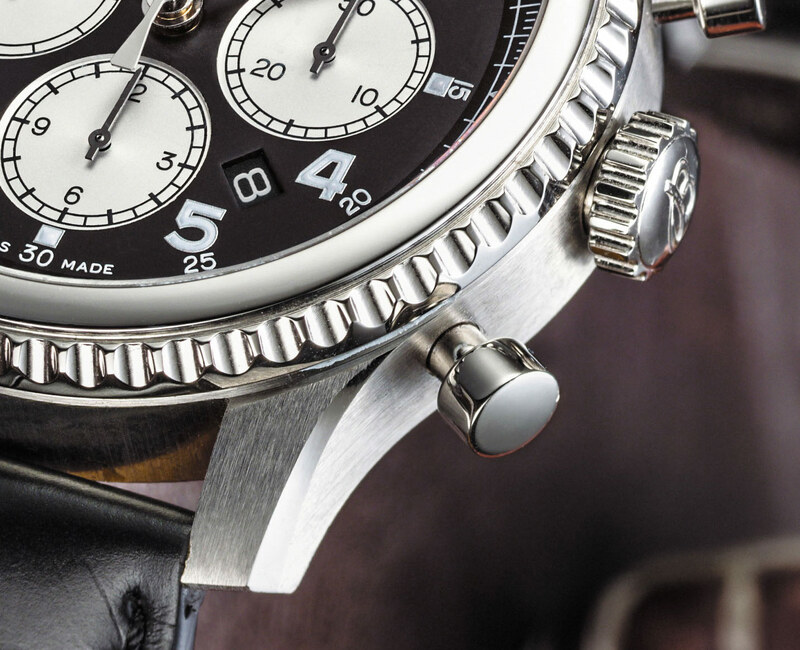 The Navitimer 8 Automatic in stainless steel costs SFr3600 on strap and SFr4150 on steel bracelet, and the DLC-coated version costs SFr4800. They’ll hit stores in June.